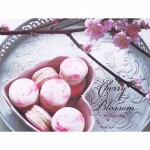 Our cherry blossom macarons have a very delicate and sweet flavor. 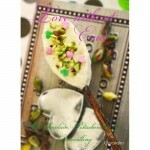 Spring caught in a small cookie…this you should really taste! ♥ If you would like to send this as a sweet gift, we will happily include a handwritten note with your personal message & ship your package to your special person`s address. ♥ Freshly made to order, each macaron is handmade from the signature Lovelies recipe with almond flour and natural ingrediënts only. Real love tastes like strawberries! Our I Heart You macarons are heart shaped with a crispy crust , followed by a lovely soft meringue and a sweet strawberry buttercream. Made with true homemade quality it’s the perfect gift for a loved one or a special treat for yourself! Made with true homemade quality it’s the perfect gift for a loved one or a special treat for yourself ! 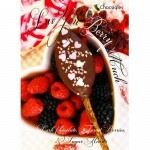 ♥ Freshly made to order, each Chocsiqle is a light & soft cake-bonbon-on-a-stick with fresh fruits or herbs and a ganache- or creamfilling coated with a layer of thick crunchy chocolate. All our Chocsiqles are freshly handmade and prepared in a traditional way from the signature Lovelies recipe. You will receive 8 Chocsiqles, beautifully arranged in a luxurious pastrybox in a color of your choice : shimmering lilac or beautiful bronze. Please let us know which color you prefer! Orders are freshly made to order and shipped within 1-3 working days. 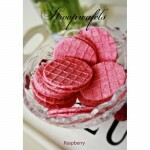 Raspberry is also called the love fruit, so what better way to show your affection! Creamy vanilla cake, raspberries, dark chocolate and sugar hearts. This is what true love is all about! 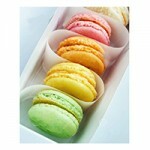 Not able to choose among our macarons? Then try our mixed box flavors. You will receive 9 macarons in the following flavors: pistachio, strawberry , lemon and orange .Made with true homemade quality it’s the perfect gift for a loved one or a special treat for yourself! ♥ Freshly made to order, each Fruitsiqle is handmade hard candy made using our unique signature Lovelies recipe with fresh fruits and natural ingrediënts only.You will receive 10 oval shaped Fruitsiqles, beautifully arranged in a luxurious pastrybox in a color of your choice: shimmering lilac or beautiful bronze. Please let us know which color you prefer! Introducing the newest member to our mmmmacaron family! 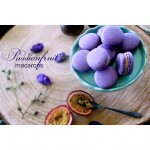 Our Passion macarons have the refreshing, sweet & sour bite of…well…passionfruit! Try them yourself! Everyone knows that the way to a man’s heart is through his stomach, but that goes for the ladies as well! 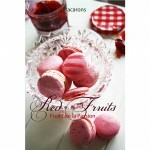 So especially for Valentine’s Day, we have put together our Red Fruits macarons giftbag​​. 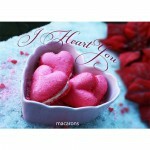 To suprise your dearest one or to indulge in yourself! :o) The luxurious giftbag consists of three passionate flavors: strawberry, raspberry and black cherry. 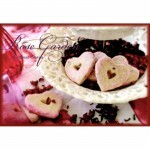 Our Rose Garden Shortbread Cookies taste like summery goodness! The same feeling you get from spending a sunny day in the garden… a cacophony of bright, fragrant flowers, summer dresses, iced tea and delicious cookies of course. Perfect for any day, summer or winter! Our scrumptious and chunky Shortbread Cookies are made ​​using real butter only and are available in several delicious flavors. Made with true homemade quality it’s the perfect gift for a loved one or a special treat for yourself ! ♥ Freshly made to order, each cookie is handmade from the signature Lovelies recipe with natural ingrediënts only. 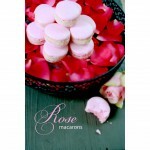 Our Rose Macarons taste like summery goodness! The same feeling you get from spending a sunny day in the garden… a cacophony of bright, fragrant flowers, summer dresses, iced tea and delicious macarons of course. Perfect for any day, summer or winter! Our Rose Passion flavour is inspired by a garden bouquet of freshly picked roses & sweet strawberry’s. 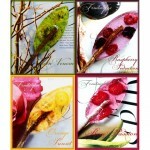 These lovely Fruitsiqles are the perfect gift for a loved one or a special treat for yourself! Our brandnew raspberry flavored syrup waffles taste like summery goodness! The same feeling you get from spending a sunny day in the garden. Enjoy them any day, summer or winter. Our crispy syrup waffles are made ​​using real butter only and are available in several delicious flavors. Made with true homemade quality it’s the perfect gift for a loved one or a special treat for yourself ! ♥ Freshly made to order, each waffle is handmade from the signature Lovelies recipe using natural ingrediënts.